Bitcoin (BTC) price chart showing increasing bullish bias. Litecoin (LTC) nearing a technical breakout. IG Client Sentiment Datashows how retail are positioned in a variety of cryptocurrencies. See how daily and weekly positioning can affect our trading bias. Bitcoin (BTC) trade data shows 80.9% of traders are net-long. Ripple(XRP) trade data shows 97.7% of traders are net-long. Ether (ETH) trade data shows 92.1% of traders are net-long. Litecoin (LTC) trade data shows 92.2% of traders are net-long. Bitcoin continues to move higher and is setting itself up for a push at $6,000 or more with the chart continuing to highlight a bullish bias. Last week we identified a gap that needs to be filled between $5,648 and $6,111 and this remain relevant with a close above $5,648 the first stage. We also have a ‘golden cross’ being made – 50-day ma moving above the 200-day ma – a bullish technical sign as momentum continues to turn positive. Higher lows continue to be made along with a series of higher highs off the February 8 candle. Litecoin (LTC) – Bullish Descending Triangle? Another chart that is now showing a positive set-up after drifting sideways to marginally higher over the past weeks. The sharp rally on April2/3 that sent LTC from $60 to nearly $100 has formed the side of a descending triangle with the base around $73. This base has been rejected twice so far. As the price nears the downward slope a sharp break to the upside becomes more likely, especially if LTC moves back above the 20-day ma. According to the CCI indicator, Litecoin is just turning out of oversold territory, adding to the bullish hue. What is your view on Bitcoin and Litecoin – bullish or bearish?? You can let us know via the form at the end of this piece or you can contact the author at nicholas.cawley@ig.comor via Twitter @nickcawley1. The year 2017 was the best year for cryptocurrencies, as several tokens reached their all-time peaks in the latter half of the year. However, what followed was a disastrous 2018, when the entire crypto market was devastated, with many cryptocurrencies losing as much as 90% of their price value. This forced crypto companies to look beyond mere speculation and traditional uses. Companies began exploring newer spaces for crypto adoption and brought several industries on to the crypto space. Though companies were working on adoption prior to 2018 as well, the crypto winter pushed the pace to new levels. Consequently, traditional industries like banking, entertainment, healthcare, online gambling, virtual gaming, IT, etc., started accepting and using cryptocurrencies as valid payment instruments. As a result, many finance experts and analysts claimed that cryptocurrencies are the future of money markets. Global remittances have also increasingly shown double-digit growth figures for the last several quarters. And with the inclusion of cryptocurrencies, the numbers are expected to grow even further. The scope and potential of electronic money in global payments has forced many established business corporations to give a second look to the crypto space. In fact, companies like JPMorgan and Facebook, which have a humongous user base, chose to launch their own stablecoins focused towards international remittances. On the other hand, technology behemoth IBM, the global leader in blockchain innovation, launched its own global payments platform called World Wire, based on the Stellar Coin. World Wire is functional in 72 countries and works with 47 currencies, with 44 banking endpoints. Similarly, global payments leader, VISA Inc also announced that it would be integrating blockchain technology with its global operations in a bid to facilitate payments through cryptocurrencies. Walking on similar lines, more and more digital tokens are getting listed on global payments platforms and crypto wallets to stay relevant in the ever-increasing competition. ARAX, the famous crypto wallet, announced on Monday, April 22, that it has now listed Mithril (MITH) on the platform. The announcement came via the Twitter handle of the platform’s native currency, LALA World (LALA). MITH is the native cryptocurrency of the Ethereum based social media DApp, Mithril. The DApp rewards MITH to users for creating content on the platform. While on the other hand, ARAX is an advanced multi-chain crypto wallet, which allows users to send, receive, exchange and store cryptocurrencies listed on the platform. ARAX was launched in February earlier this year, by LALA World, a cryptocurrency platform focused at building a Global Digital Decentralized Financial Ecosystem. LALA aims to facilitate the inclusion of the unbanked, undocumented, micro-entrepreneurs, students and other such small elements of the financial system. Many crypto platforms are taking efforts to up their adoption in the masses, and crypto wallets are playing a big role in this regard. Currently, the payments space is dominated by Ripple (XRP), Stellar (XLM), and SwiftCash (SWIFT). After failing to overcome resistance at $100 during price increases three weeks ago, Litecoin continued its decline last week. The price has dropped to a level of support at $75 which is an important level on the longer-term monthly time frame. $75 acted as an important resistance point during price increases in September of 2017 and also acted as support while prices were declining in June and July of 2018. The price has already tested the $75 level several times. Any drop below the level has quickly found buying pressure to bring the price back above. Consecutive tests of a level serve to weaken the level with fewer buyers to hold the level on each retest. The most recent test took place on Sunday where the price briefly dropped below. Both the daily RSI and MACD also indicate that there are high odds that the price will break below this level. Both the RSI and MACD have been decreasing indicating momentum is on the side of sellers. However, on the bullish side, the cryptocurrency market leader Bitcoin formed a golden cross today with its 50 SMA crossing its 200 SMA to the upside. This is often considered an extremely bullish signal for analysts, and if it serves to spur more buying pressure in Bitcoin, there will likely be a knock-on effect in altcoins. Such an event could result in Litecoin increasing significantly above its support level at $75. A Doji candle formed on the Dash weekly chart for last week’s price action. So far, a Doji candle is also forming this week for Dash representing high levels of uncertainty from traders regarding the future price prospects of Dash. The price rises of three weeks ago failed to overcome a resistance level at $140. The price has since dropped to trade to a range between $118 and $124. Dash is similarly exposed to the bullish patterns forming in Bitcoin today. With high levels of correlation between Bitcoin USD returns and top altcoins USD returns, price increases in Bitcoin will also likely spur price increases in Dash. Both Litecoin and Dash are exposed to the golden cross forming in Bitcoin, and if more buyers drive the price of Bitcoin up, it will likely have a similar impact in top altcoins. Litecon has been recording bearish price action over the past two weeks, dropping to test an important support level at $75 repeatedly. There has been more consolidation in Dash with a Doji candle forming on the weekly chart for last week’s trading. DISCLAIMER:Investing or trading in digital assets, such as those featured here, is extremely speculative and carries substantial risk. This analysis should not be considered investment advice, use it for informational purposes only. Historical performance of the assets discussed is not indicative of future performance. Statements, analysis, and information on blokt and associated or linked sites do not necessarily match the opinion of blokt. This analysis should not be interpreted as advice to buy, sell or hold and should not be taken as an endorsement or recommendation of a particular asset. As reported in our previous XRP news, the price of XRP has been having difficulty gaining against the USD. It is struggling to hold the support at $0.32 against the USD and is also down against the price of BTC. XRP wasn’t even part of the recent bull rally that took the price of BTC above $5300. The Bitcoin price action did little or nothing to contribute to the price of XRP. Breaking the trend seemed like a good thing at the time because the price of XRP was in trading in green while other cryptocurrencies were in red. However, now, more than ever, XRP may need to rekindle its relationship with Bitcoin. So, when the next Bitcoin bull run starts, the price of XRP will rise along with the rest of the market. This would help since the XRP development isn’t doing much to support the price. 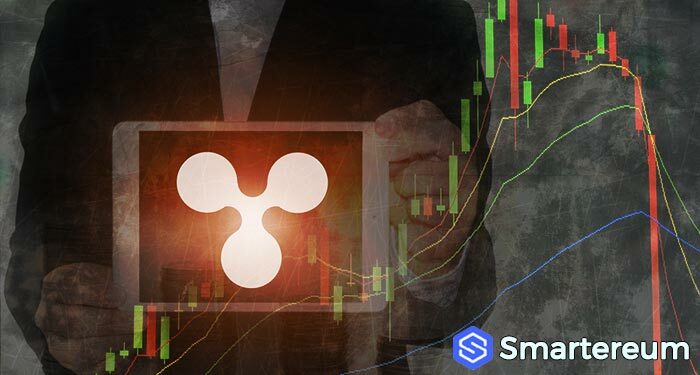 It’s important to note that the current XRP price action is in line with one of our XRP price predictions that placed the price of XRP lower by another 50%. The XRP Army is waiting for the price of XRP to hit bottom so that they can buy and hodl ahead of the next bull run. In fact, some of them consider this fall in price as a good thing. This is because they have faith in technology. Almost every trader on the XRP rich list is currently wondering why the price of XRP is falling significantly against the USD and if the current price of XRP will affect the XRP price prediction 2019. Well, it is important to note that almost every cryptocurrency in the market is currently trading in red as part of a market-wide price correction. Just around the weekend, according to the XRP report on bitcoinexchangeguide; the official launch of XRPayments app on the iOS app store and Google Play was done. 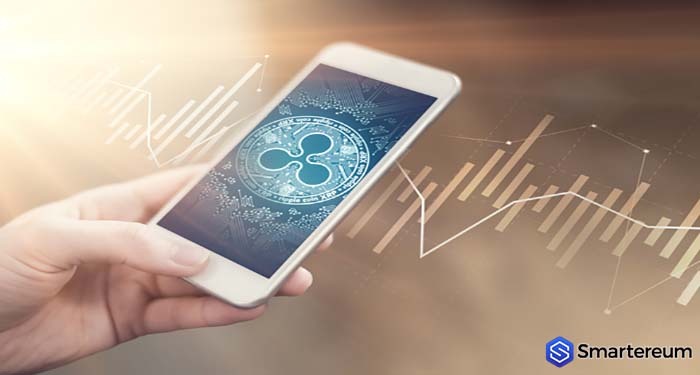 Designed by Ripple-backed startup XRPL Labs, the app with an in-built currency converter allows the payments to be made directly from the ledger or through XRPTip Bot. XRPL Labs co-founder Wietse Wind had shared a demo of the app just last month. Within just two days of its release, the app even managed to make it among the top trending apps on Google play in the business category. Recently, there has been news of XRPTipBot to be integrated into Skype in the near future. Moreover, XRPTipBot is moving to get a banking license as announced by Wind, the brain behind this application as well, at the XRP meetup in Netherland. A move like such would definitely work in favor of XRP price and will open more opportunities for its retail and institutional adoption. Flipping through the dials, we have noticed that shares of Applied DNA Sciences, Inc. (NASDAQ:APDN) have shifted to the downside over the past full-year. Over the past 52-weeks, shares have been lower by -59.18%. Investors might be trying to figure out whether the situation will reverse over the next 52-week period. Shifting the focus to what the Wall Street analysts are projecting, we can see that the current consensus target price on shares of Applied DNA Sciences, Inc. (NASDAQ:APDN) is $4.00. Analysts often put in a lot of work to study stocks that they cover. Because each covering analyst may come to a different conclusion about where shares are headed, investors often look to the consensus number in order to get an overall sense of the outlook. Investors may already be putting together the puzzle in order to achieve success over the next couple of quarters. Following analyst opinions may be a good way for the investor to compare individual research with that of Street professionals. We can also see that Wall Street analysts have a consensus recommendation of 3.00 on shares of Applied DNA Sciences, Inc. (NASDAQ:APDN). This number falls on a one to five scale where a one would be considered a strong buy and a five would indicate a strong sell recommendation. Investors often have to weigh all the information before making the tough decisions. Highly publicized stocks may be enticing, but they may not be the right addition to the portfolio. Completing all the homework before taking any position can help the investor ensure that no corner has been left unchecked. Investors tracking shares of Applied DNA Sciences, Inc. (NASDAQ:APDN) may be focusing on where the stock is trading relative to its 52-week high and low. At the time of writing, the stock had recently hit $0.60. At this price, shares can be seen trading -67.39% off of the 52-week high mark and 100.00% away from the 52-week low. Investors often pay increased attention to a stock when it is nearing either mark. Studying some alternate historical performance measures for Applied DNA Sciences, Inc. (NASDAQ:APDN), we can see that shares are -7.72% over the previous week. Over the last month, company shares are -7.41%. For the last quarter, the stock has performed 33.93%. If we look back year-to-date, the stock has performed 50.00%. Equity market investing will always come with peaks and valleys. There are so many various factors that can have an impact on day to day stock price fluctuations. Finding the proper investing strategy may take a lot of time and effort. Many investors tend to get impatient when the portfolio is not performing up to par. Sometimes an original plan may be strong, but it needs some time to begin to work itself out. Staying on the right track can be much easier said than done.